Swami Rama, Founder of Promoting Society, Himalayan Institute Hospital Trust (HIHT) , was born in 1925 at Village-Toli, Malla Badalpur, Pauri Garhwal, Uttarakhand (erstwhile Uttar Pradesh) to a learned Brahmin family. Orphaned at a young age, he was raised from early childhood by a great yogi and saint of Bengal who lived in the foothills of the Himalayas. In his formative years, he practiced various disciplines of Yoga and Philosophy in the traditional monasteries of the Himalayas. He also journeyed to Tibet to study with his grandmaster and was also mentored and inspired by many adepts, including Mahatma Gandhi, Sri Aurobindo, and Rabindranath Tagore. Later he received his higher education at Bangalore, Prayaga, Varanasi, and Oxford University, England. At the young age of 24 years he was anointed to the high spiritual position of Shankaracharya of Karvirpitham in Central India, succeeding Dr. Kurtkoti. During this term he exercised tremendous impact on the spiritual customs of that time such as making it possible for all segments of society to worship in temples, and eliminating the system of devadasis in temples. In 1952, he relinquished the dignity and prestige of this high office to return to the Himalayas to intensify his meditative practices. After completing an intense meditation and pranayama practice, he emerged with the determination to serve humanity, by bringing the teachings of the East to the West. 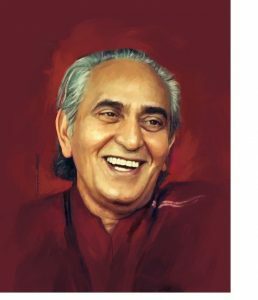 With the encouragement of his master, Swami Rama began his task by studying Western Philosophy and Psychology, and teaching Eastern philosophy at many Western universities. He worked as a medical consultant in London and assisted in parapsychological research in Moscow. He then returned to India, where he established a clinic and ashram (Sadhana Mandir Trust) in Rishikesh. In 1960 he completed his degree at the medical college in Darbhanga. Later he went to Japan, where he established a major spiritual center. At the behest of his master, he went to the United States in 1969 to build a bridge between science and spirituality. At the Meninger Foundation in Topeka, Kansas, Swami Rama demonstrated, under controlled laboratory conditions, his exquisite control of involuntary physiological parameters such as body temperature, brain waves and heart rate. These experiments were reported in many leading scientific journals and set the stage for the recognition of the psychosomatic origins of a majority of diseases, the development of bio-feedback and holistic paradigms of health. Swami Rama established the Himalayan Institute of Yoga, Science and Philosophy of the U.S.A. in the early 1970s and in his 23 years in the U.S., he became recognized as a yogi, teacher, philosopher, author, poet, humanist and philanthropist. He returned to India in 1989 to establish the Himalayan Institute Hospital Trust at Jolly Grant, Dehradun. Under Swami Rama’s guidance and direct supervision, the trust opened a multi-specialty hospital in 1994 and a medical college in 1995. Swami Rama, before dropping his body in November 1996, appointed a Presidential Body and the Governing Body of the Trust to continue his work inspired by the motto: Love, Serve, Remember.